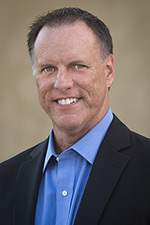 Fortinet | Richard M. Hicks Consulting, Inc.
One of the most important advantages Windows 10 Always On VPN has over DirectAccess is infrastructure independence. That is, Always On VPN does not rely exclusively on a Windows Server infrastructure to support Always On VPN connections. Always On VPN will work with many third-party firewalls and VPN devices, as long as they meet some basic requirements. Third-party firewalls or VPN devices offer some important advantages over Windows Servers running the Routing and Remote Access Services (RRAS), both in terms of security and performance. Dedicated security devices (physical or virtual) provide better security than a common Windows server. They commonly run specialized, security-hardened operating systems that are highly secure and resistant to attack. In addition, these solutions typically allow the administrator to define policy to restrict access to internal resources and do so in a centralized way. This is often easier to implement and manage than using traffic filters on the client side. They often include advanced security features such as URL filtering and malware inspection to better protect remote clients. Some solutions include Hardware Security Module (HSM) integration to further enhance security. Purpose-built solutions often provide better throughput and performance than do Windows Servers by virtue of their proprietary operating systems. This allows for better network throughput and the ability to support many more connections per device. The main drawbacks for using a third-party device are cost and administrative overhead. Third-party solutions must be acquired, for which there is typically a non-trivial cost associated. They often need additional per-user licensing. In addition, many of these solutions require specialized skill sets to implement, manage, and support which could further increase the overall cost of the solution. Any firewall or VPN device can be used for Always On VPN as long as they support the Internet Key Exchange version 2 (IKEv2) VPN protocol for remote access connections. Most modern firewalls today support IKEv2, but some (such as the Sophos XG firewall) do not. Check with your vendor to validate support. If the firewall or VPN device supports IKEv2 for remote access connections, the native Windows VPN provider can be used to establish an Always On VPN connection. The native provider is used when the Always On VPN ProfileXML is configured using the NativeProfile element. One crucial drawback to using IKEv2 is that it is commonly blocked by firewalls. Many third-party VPN vendors offer a plug-in client that enables support for TLS-based transport, which is more firewall friendly than IKEv2. Plug-in VPN providers are available in the Microsoft store. Note: Win32 VPN client applications from third-party vendors are not supported with Windows 10 Always On VPN. 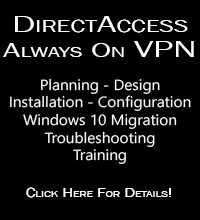 What is the Difference Between DirectAccess and Always On VPN? Windows 10 Always On VPN provides seamless and transparent, always on remote network access similar to DirectAccess. The mechanics of how it is delivered and managed are fundamentally different, as I discussed here. Some of these changes will no doubt present challenges to our way of thinking, especially in the terms of client provisioning. However, Always On VPN brings along with it some important and significant advantages too. A Network Location Server (NLS) is used for inside/outside detection by DirectAccess clients. By design, the NLS is reachable by DirectAccess machines only when they are on the internal network. NLS availability is crucial. If the NLS is offline or unreachable for any reason at all, DirectAccess clients on the internal network will mistakenly believe they are outside the network. In this scenario, the client will attempt to establish a DirectAccess connection even though it is inside. This often fails, leaving the DirectAccess client in a state where it cannot connect to any internal resources by name until the NLS is brought back online. Always On VPN eliminates the frailty of NLS by using the DNS connection suffix for trusted network detection. When a network connection is established, an Always On VPN connection will not be established if the DNS connection suffix matches what the administrator has defined as the internal trusted network. DirectAccess uses IPv6 exclusively for communication between remote DirectAccess clients and the DirectAccess server. IPv6 translation technologies allow for communication to internal IPv4 hosts. While this works for the vast majority of scenarios, there are still many challenges with applications that do not support IPv6. Always On VPN supports both IPv4 and IPv6, so application incompatibility issues will be a thing of the past! With full support for IPv4, the need for IPv6 transition and translation technologies is eliminated. This reduces protocol overhead and improves network performance. 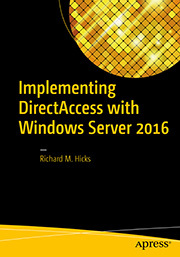 Windows servers are required to implement DirectAccess. Always On VPN can be implemented using Windows servers as well, but it isn’t a hard requirement. Always On VPN is implemented entirely on the Windows 10 client, which means any third-party VPN device can be used on the back end, including Cisco, Checkpoint, Juniper, Palo Alto, Fortinet, SonicWALL, F5, strongSwan, and others! This provides tremendous deployment flexibility, making it possible to mix and match backend infrastructure if required. For example, a Windows RRAS VPN server with Palo Alto and SonicWALL firewalls could all be implemented at the same time (using the Windows built-in VPN client). Importantly, making changes to VPN infrastructure is much less impactful and disruptive to clients in the field. VPN devices can be upgraded, replaced, and moved internally without requiring corresponding policy changes on the client. Have questions about Windows 10 Always On VPN? Interested in learning more about this new solution? Fill out the form below and I’ll get in touch with you.